Ulundhankali/Ulundhu kali/Ulundhamkali – these are different ways of spelling out a super healthy sweet. It translates as Black Gram Pudding. 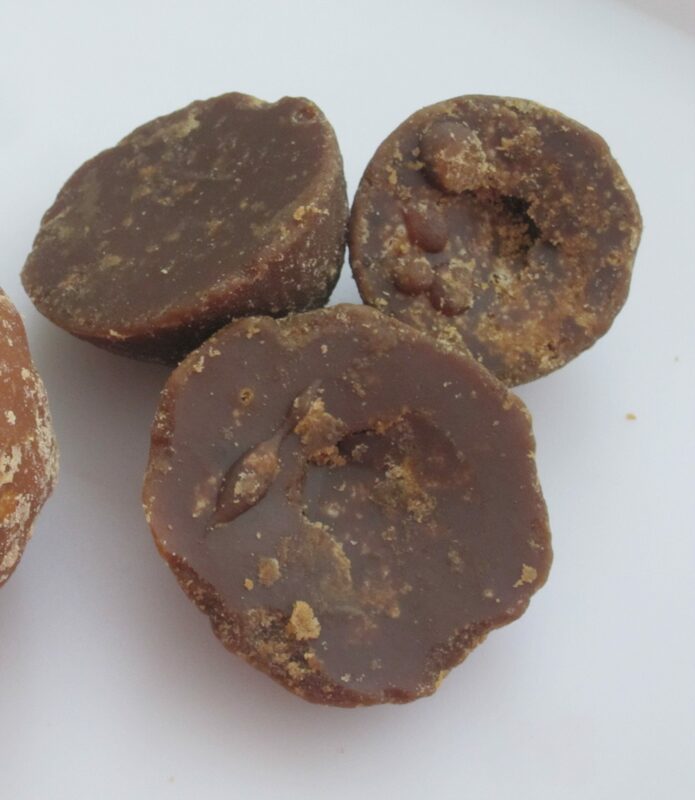 It is a black gram-palm jaggery sweet from Tamilnadu, made especially for young girls during those special days of the menstrual cycle. Kali is the word for a thick/sticky pudding. Take note not to pronounce it as ‘Kaali’ with a double ‘a’, which denotes the Hindu Goddess or Shakti of India. ‘Li as in muesli or vermicelli. As gentle as its name, this pudding is also very soft in consistency. But, the soft yet thick pudding can play different roles in the healthy life of a girl as a tasty sweet as well as a medicine. Girls grow up to play several roles in the society… Of course that stands good for boys too. No gender bias here. But, as tradition goes and in reality, the healthy balance of the different roles played by women is directly related not only to their own well-being and sound health, but to the well-being of their families too. When a girl says good-bye to childhood and is ready for the next phase, the organs responsible for her ability to continue the beautiful process of Procreation need additional focus. That responsibility of making her healthy to be part of branching the family tree, lies in the hands of mothers and grand-mothers, who were little girls long long ago. c. thereby develop her uterus without fibroid and cysts. That is why, when the monthly cycle is done, we are given Black Gram Rice with Sesame Seed Chutney (refer – dosaikal.com/blackgramrice-sesame seed chutney) and this Kali/Black Gram Pudding. These foods are believed to act as uterus cleansers. No written records here…. Only stories of information passed on by word of mouth from mothers to daughters. The making and consuming of ‘Kali’ starts with early teenage and goes on till menopausal stage of every woman. The long generational chain hasn’t been cut till now and so the information thread is well intact. So, this recipe of Ulundhankali is in honour of mothers, grand mothers and great grand mothers who have passed on the torch of good health to the daughters of their home. So, here it is…. KALI – an exceptional recipe for the most precious princess and angel of my life. A mother’s contribution in making a Princess transform into a Majestic Queen! The goodness of Kali lies in the most important three ingredients that go in the making. Each of the ingredients is rich in nutrient value and what impresses me the most, is the thought process that went into making such a balanced food, that aids in the core well being of the core member of each household. Especially, starting it off at an early age to proceed smoothly into the consecutive phases of adulthood in the journey of life. 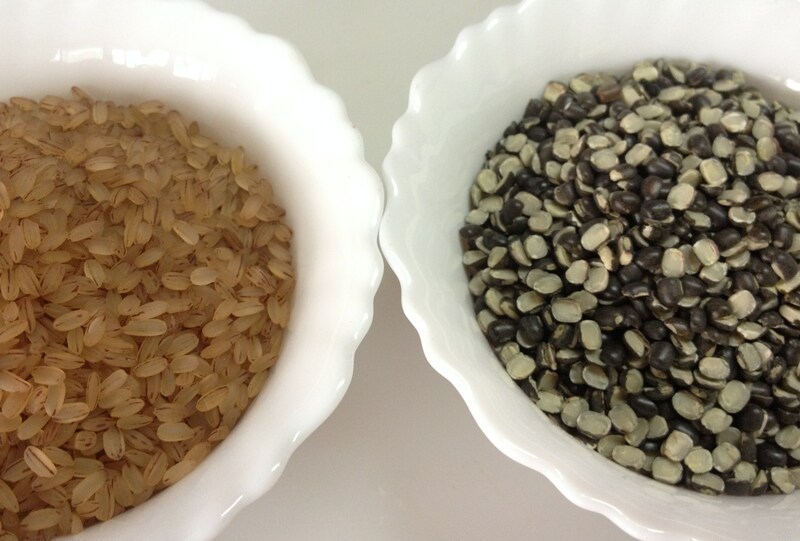 Wellness aspects of sesame seeds have been posted in dosaikal.com/black gram rice with sesame chutney. 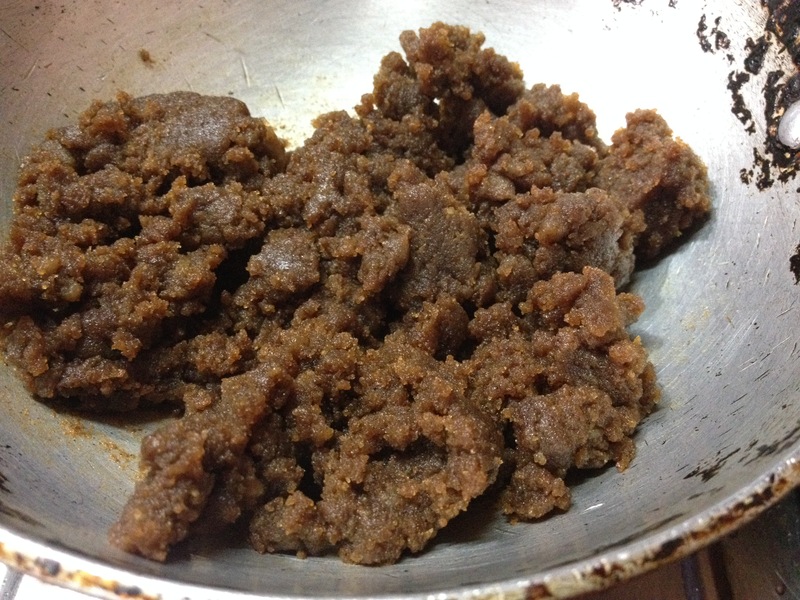 In the making of Kali, sesame seed oil, which is called Nallennai in Tamil and Gingelly Oil or cold pressed Sesame Seed oil acts as a binding agent of the sticky pudding. The gingelly oil used for cooking and cosmetic purposes in the southern part of India, was cold pressed oil. Not very sure whether today’s store bought, packaged Nallennai/Gingelly oil still uses traditional ways of low heat extraction. But, a satisfying sight is the ‘Chekku’ or traditional oil extracting machines newly cropping up in the cities of Tamilnadu. 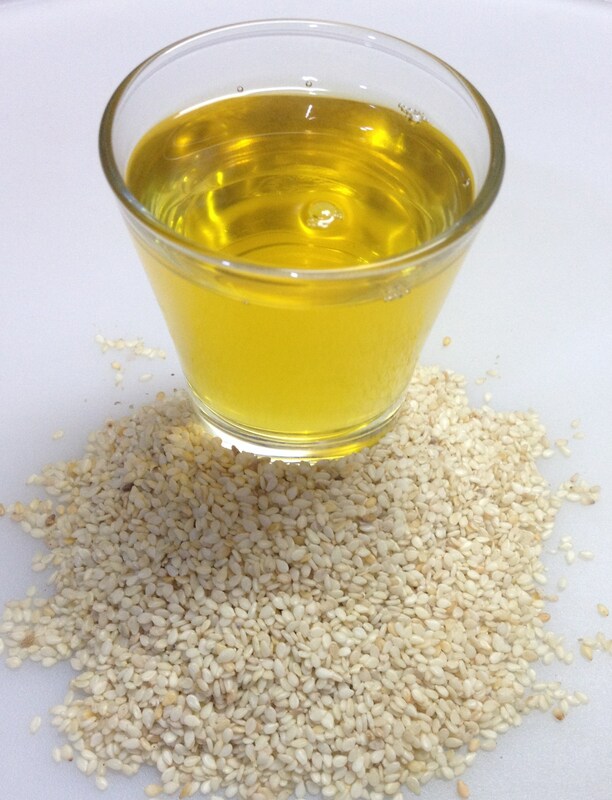 The ‘Chekku Yennai’ or grinding sesame seeds with a pestle and extracting oil with no high temperature setting is the traditional-goodness filled oil extracting method. The modern method of oil extraction involves supplying a lot of heat. The oilseed is first crushed, and the pulp is heated under pressure. As a result, almost all the oil is extracted. The downside is that the oil is heated up to temperatures of 230 degree centigrade. Heating it to such high temperatures alters the properties of the oil molecules in unfavourable ways (Polycyclic Aromatic Hydrocarbons are formed at high temperatures which are carcinogenic) – and strips it off of its nutritional value. 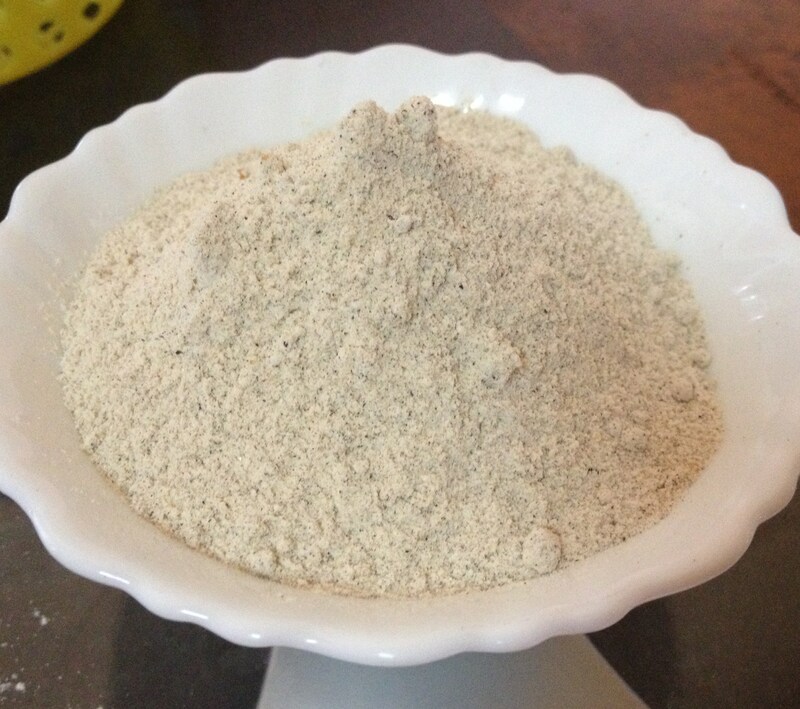 The first step in making Kali is making a powder out of Black Gram. Roasted Black gram is milled to a fine powder. 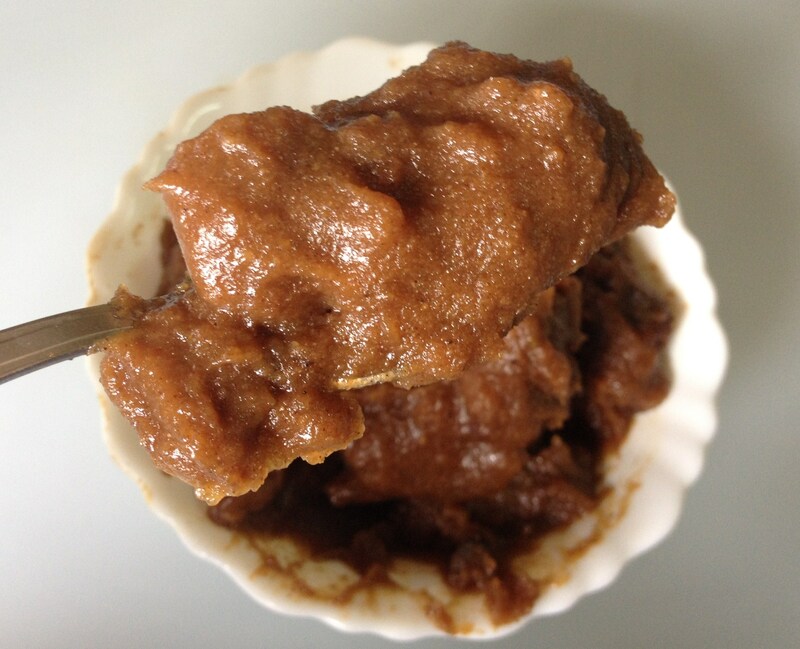 The traditional method of making Kali is by cooking the powder directly with Palm Jaggery water and Gingelly oil with constant stirring. This might take hours and result in a beautifully darkened, glossy Kali, with the addition of sore fingers and aching elbows and shoulders. Aachis and Ammas (grandmothers and mothers) never bothered about their aches those days. 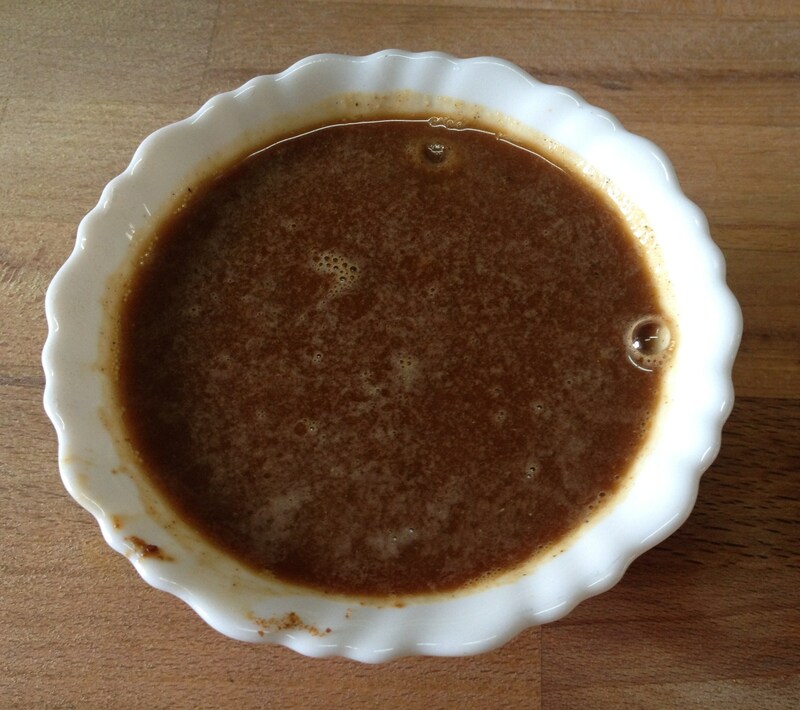 And after all, making this pudding is all about that – reducing muscular, joint aches and strengthening bones. Might be they had an extra bowl of the strengthening KALI, to treat the after-effects – their aches. After thorough analysis of the condition of our already very strong bones and muscles (so many stories of chiropractors and physio-therapists that we visit these days before 40), the elders of our households have devised an easier version of the extensive process of Kali Making. 2. Pressure cooking the three main ingredients – which drastically reduces the time involved in the making of kali. 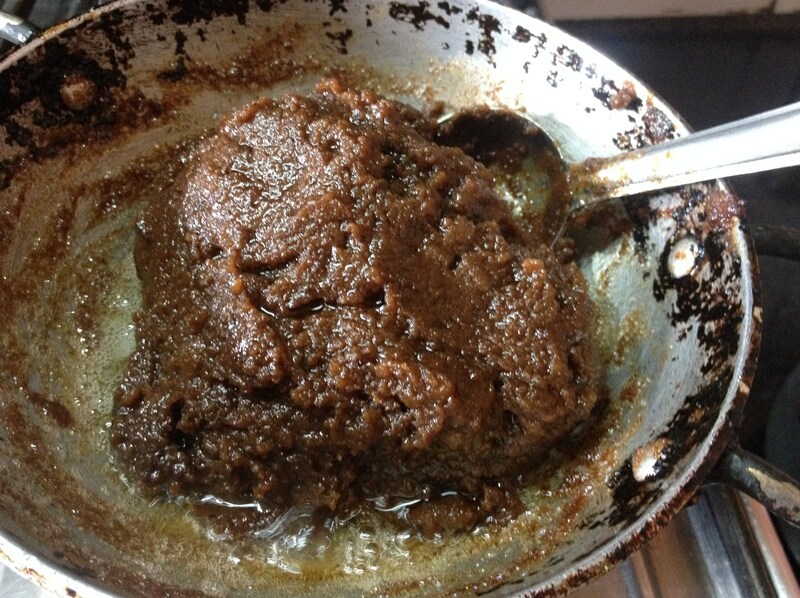 After this simplified process, the Kali mixture (red rice-black gram powder cooked in palm jaggery water) is again cooked well in a pan with oil but with reduced stirring and brought to the right consistency. No complaints of joint aches and muscle pulls while making Kali anymore. The introduction of red rice has reduced the trouble further. 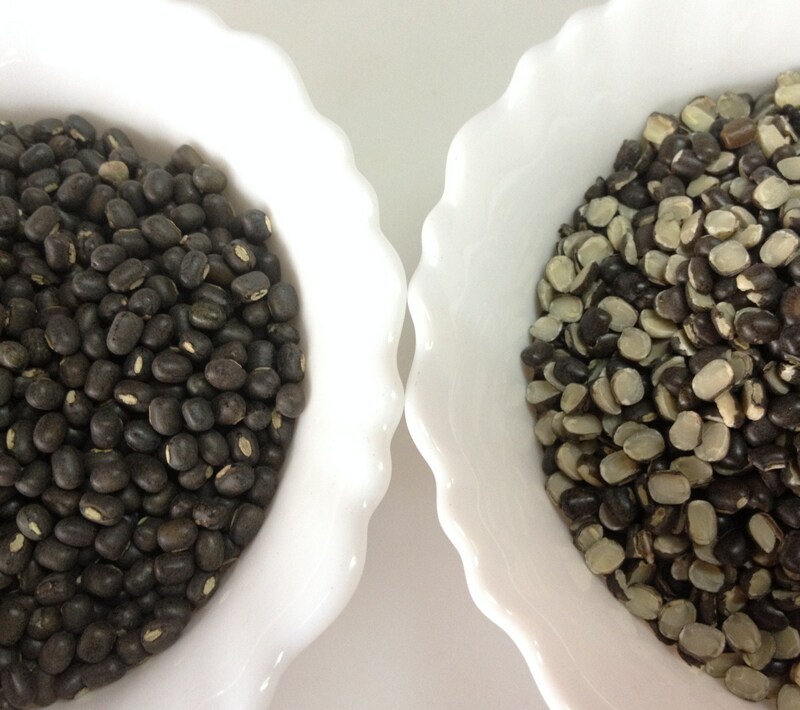 As mentioned previously, Ulundhamkali is usually made with ulundhu/black gram alone. But the sticky texture might be hard to handle sometimes. And might result in a burnt or lumpy semi-solid in the cooker. 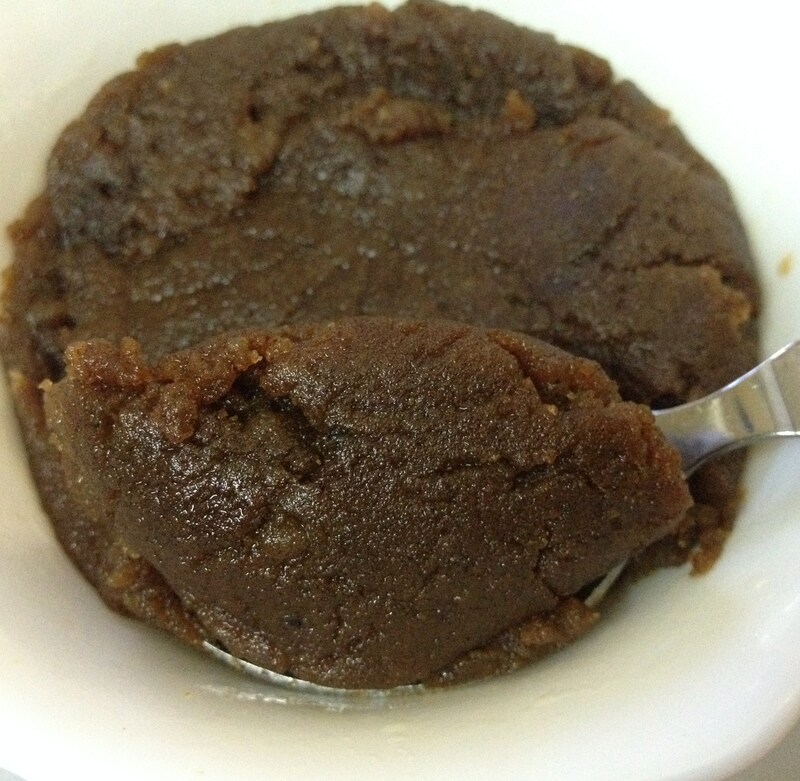 The addition of red rice (better than processed white rice) blends the mixture into a sticky cake in the cooker. This would be easily removable from the pressure cooker and transferred into the hard bottomed chatti/pan. 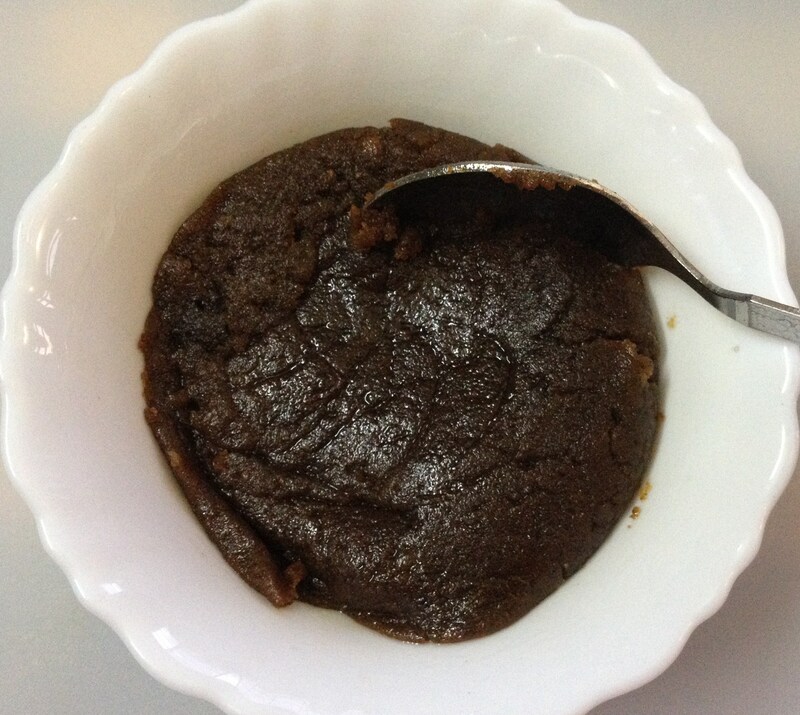 Lastly, the sticky pudding is cooked well with gingelly oil. The last ingredient which is the gingelly oil, helps bringing the sticky paste to a beautifully glowing glossy pudding. 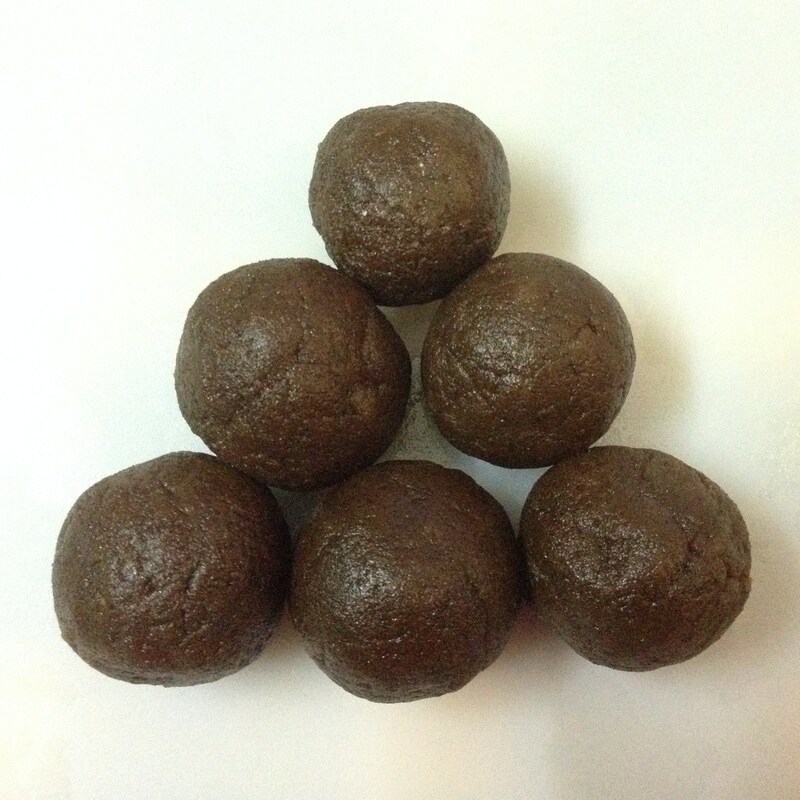 The end product ‘Kali’ can also be made into ‘urundai’ or sweet balls, easy for children. 8. It is just right to serve when the mixture doesn’t stick to the bottom and scoops out well in a ladle . Enjoy Kali feeding your young ones. Additionally, Kali is also suitable for all, as it aids in keeping our bones stronger. So, I mention again… this was it…. KALI – an exceptional recipe for the most precious princess and angel of my life. A mother’s contribution in making a Princess transform into a Majestic Queen! Previous Post The Macaroons of Thoothukudi – Cashewnut Goodies from Coastal Tamilnadu!